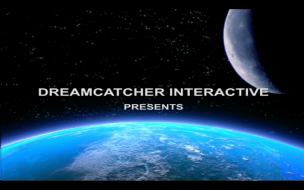 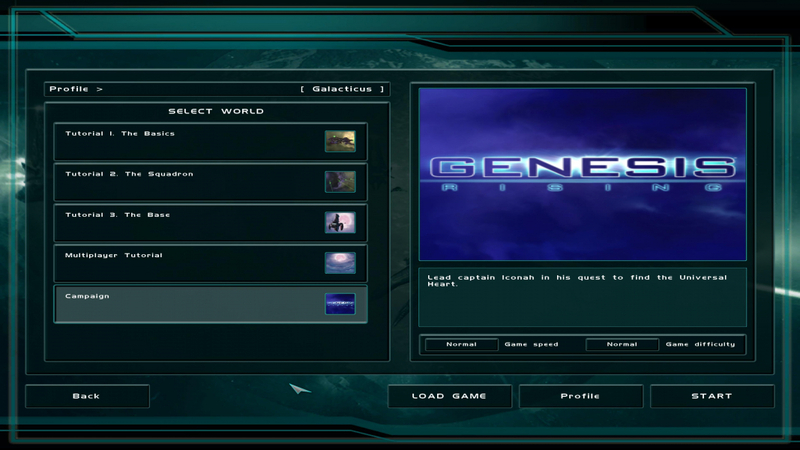 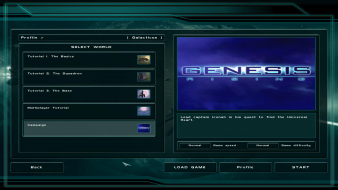 Genesis Rising is a sci-fi RTS from Metamorf Studios and DreamCatcher. 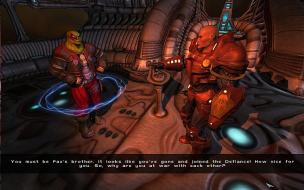 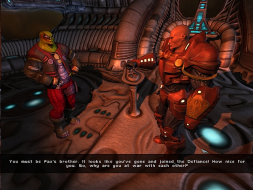 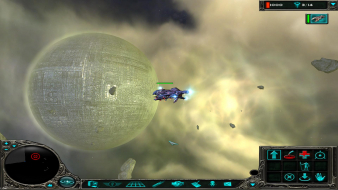 You play as Captain Iconah, a fleet commander charged with exploring and conquering the galaxy of the Universal Heart, the source of all life and matter in the universe. The ships in the game are of an organic nature, and can be reshaped, upgraded, and given new weapons and abilities through controlled genetic mutations. 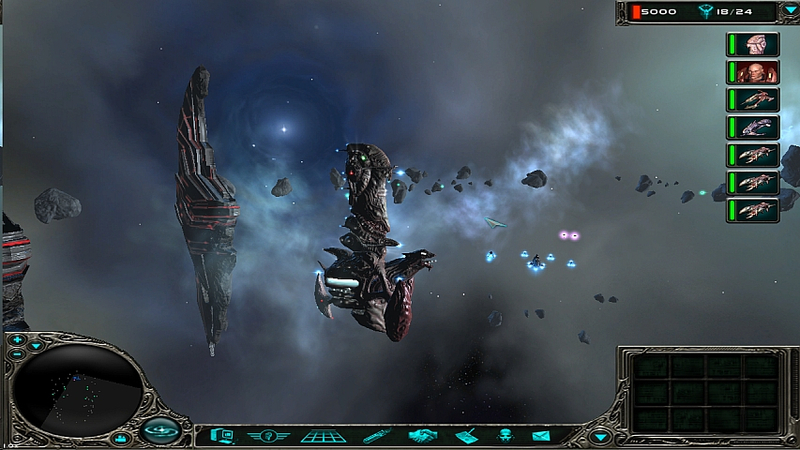 Genes can be scavanged from destroyed enemy ships, and can be used to incorporate the abilities of your defeated enemies to your own ship designs. 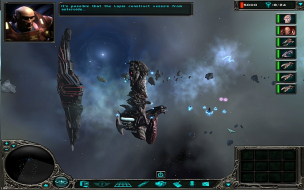 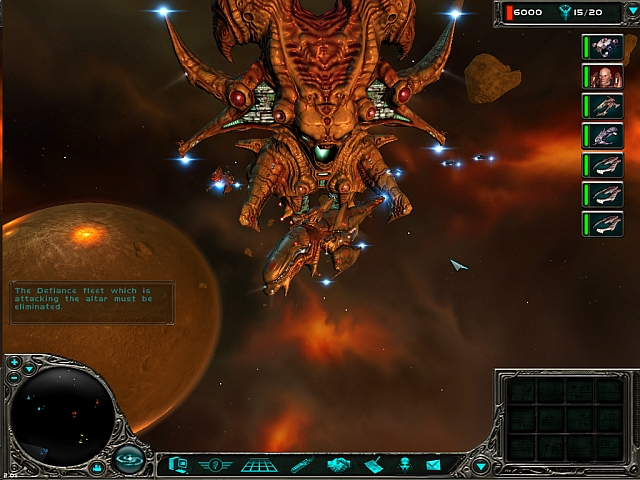 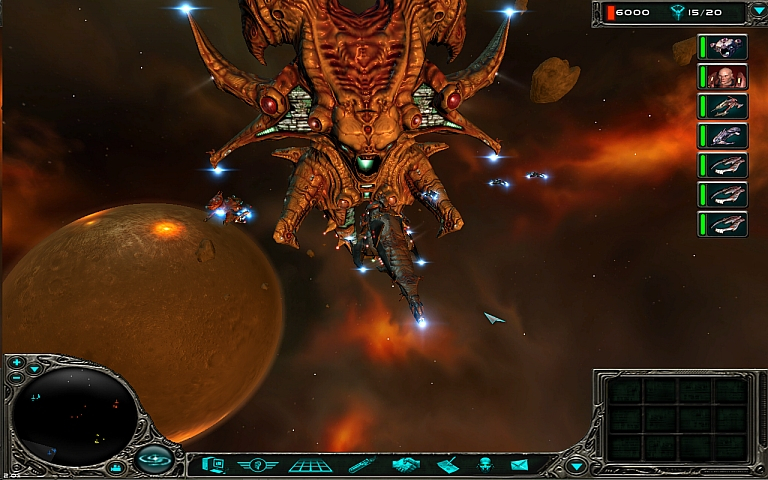 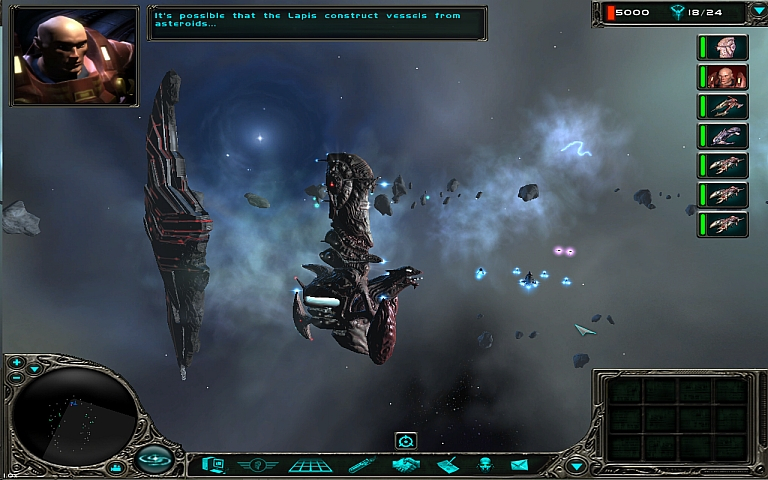 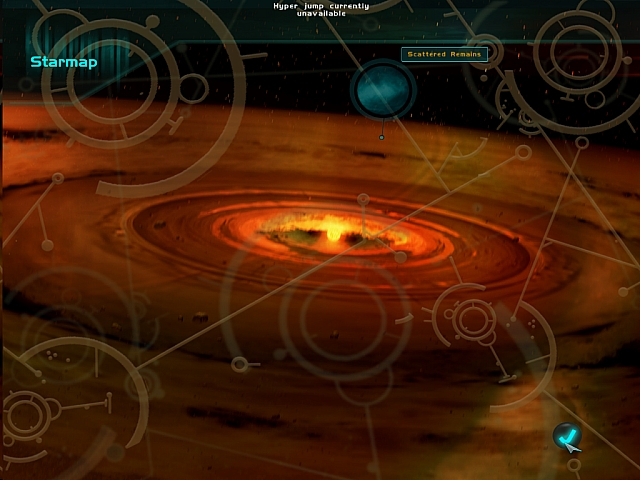 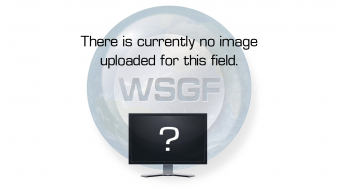 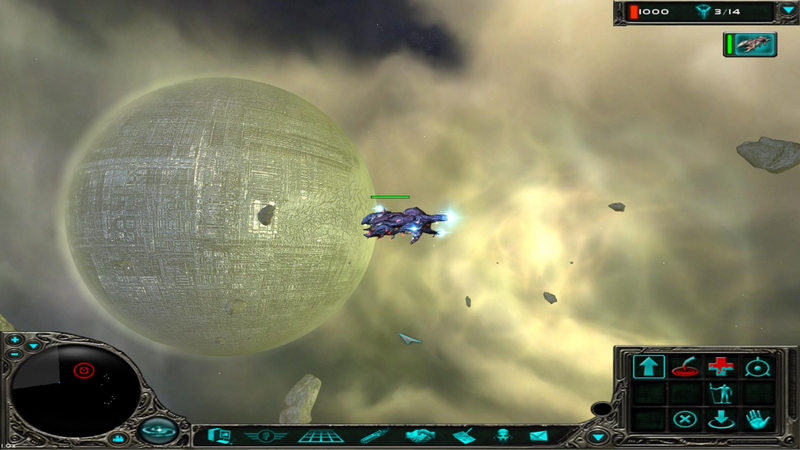 2D screens such as the Starmap are stretched. This doesn't really hurt gameplay, since the starmap isn't to scale.